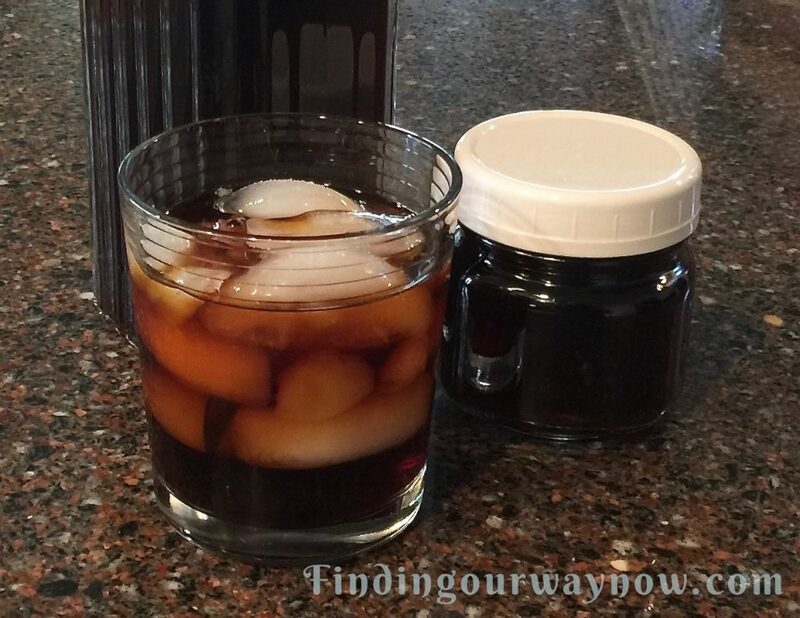 Cold brew coffee concentrate is easy to make, a high-octane concentrate that retains the natural coffee essence and it makes for a superb hot or cold coffee beverage. With the hottest summer on record yet again, as you can imagine, I opted for an iced coffee. So what is cold brew coffee? For the lack of a better explanation, it’s kind of like sun tea but made with coffee. What I love about this coffee making method most is, after it’s made and ready, how fast coffee making can be when I have a super busy morning with no time to brew a pot. All I need is to heat some water or cream and mix it with the coffee concentrate, and I’m good to go. When I have company for breakfast, I can make a coffee beverage of their choice in a flash. What’s not to like about that. Ingredients: Makes approximately 6 or so cups of cold brew coffee concentrate. 1½ cups (12 ounces) coarsely ground fresh coffee beans of your choice. Place the coarsely ground coffee in a ½ gallon jar. Gradually pour the filtered water over the grounds. Gently stir to ensure the grounds are well moistened. Seal the jar and refrigerate for 24 hours. Line a strainer with a double layer of cheesecloth and place over a large measuring pitcher. Remove the jar with the steeped coffee from the fridge: do not shake or stir. Slowly pour the steeped coffee into the lined strainer until the coffee concentrate has filtered through. Lift the cheesecloth with the used grounds and discard; DO NOT squeeze. Reline the strainer with a large coffee filter and set over another large pitcher or bowl. 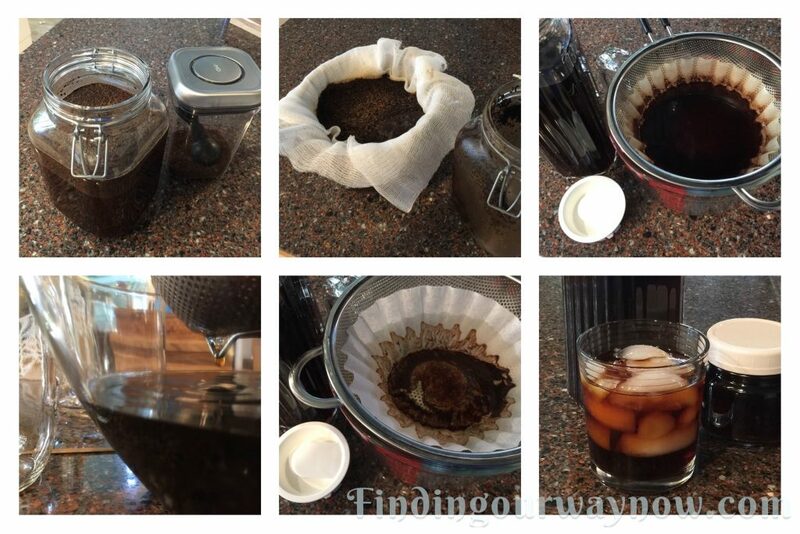 Gradually restrain the coffee concentrate through the coffee filter, a bit at a time. Be patient; it will take some time for all the coffee to drip through the filter. DO NOT be tempted to stir or press the coffee to help it along. Once all the cold brew coffee is strained, ladle the liquid into a large container or 6-pint jars, seal and refrigerate until ready to use. The cold brew coffee concentrate can be made ahead of time and will keep up to 4 weeks; if it lasts that long. Beverages & Uses: Note: For any beverage, always used a 1 to 1 ratio. For iced coffee, fill a glass half way with ice, finished filling the glass with the coffee concentrate. If desired, sweeten to taste. For a hot latte, fill a cup or mug with 1 part coffee concentrate and 1 part hot milk to taste. If desired, sweeten to taste. For an iced latte, fill a glass with 1 part coffee concentrate and 1 part cold milk or to taste. If desired, sweeten to taste. It’s also awesome used to make an Irish Coffee. The concentrate may be used in many recipes. Sweeten the concentrate to taste and pour over a bowl of ice cream. Notes: Only use fresh coarsely ground beans, a finer grind will make a murky beverage. The type, darker roast or flavor of the coffee beans you use will determine the taste so don’t be shy about what you use and have a bit of fun. Remember, the strong the coffee beans the stronger the concentrate. When you’re straining the liquid through the coffee filter, it’s not a bad thing to change the filter out a few times to help facilitate the process. If you would prefer to make a smaller or larger amount use the ratio to use is 1 ounce of ground coffee to 4 ⅔ ounces of water. 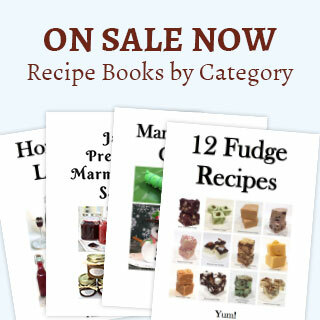 Or you could just cut the recipe half or double it – that’s what I do. It will surprise you just how good this coffee is. It’s smooth and lacks much of that acidity you find in a hot-brewed extraction. The fun thing about a cold brew coffee concentrate is it can go anywhere; camping, the office on picnics or as a surprise for a coffee loving friend.